I provide multi-channel lead generation services that are totally designed to help get you in front of your targeted audience, prospects and market at the best time — when they are most interested and ready to listen to what you have to offer. With a focus on lead quality, I ensure to spend time only on leads that are most relevant to your requirements. I deliver the leads that your sales team needs to focus on sales conversations and scheduled sales appointments. Any successful marketing campaign begins with an accurate lead list. You will have to tell me your target market and I will go find it. I usually use "Premium Sales Navigator LinkedIn Account" along with other resources to find the leads. Please contact me first before purchasing the hourlie if you are in need of Valid Leads from LinkedIn.com for Leads, Internet Leads for your business leads generation. Speedy delivery - Thank you! Thank You So MUCH!!! great job and timing! Great work. I am very happy with the sales leads provided. 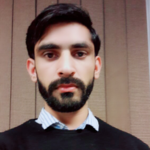 I needed some leads quickly and saw Naveed offering to get 100 leads in 1 day, I unfortunately had to wait 6 days for this, therefore missed a campaign going out on time. Partly my fault for leaving it too late but I also believe if an offer is for a certain timeframe it should be delivered in said timeframe. It is not my job as someone purchasing to chase up and ask in advance if it is being offered as such! Quality lead list. Will hire again. Great lead list. Quality work.